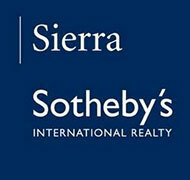 One of three gated communities within the Glenshire area of Truckee. This subdivision is located at the southeast side of Glenshire backing to miles of forest land. Most of the properties in Juniper Hills are large acreage parcels typically averaging around 20 acres. Some of the areas of this subdivision have limited winter access due to unpaved roads. There are 2 entrances to Juniper Hills, one located at the top of The Strand, one at the top of Somerset.